This was my Yule garb, done in the bliaut style with holiday-esque trim. 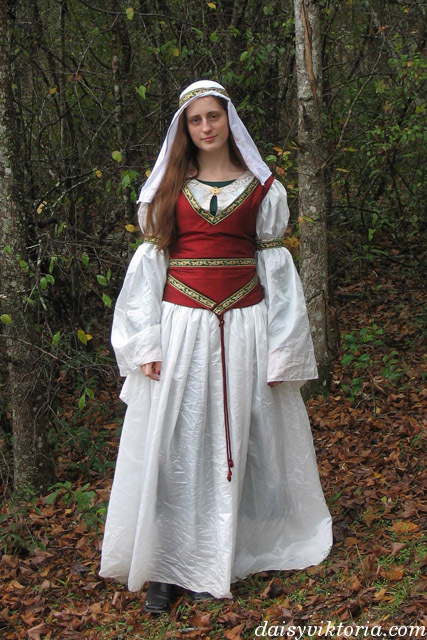 The dress is a 12th century French style. 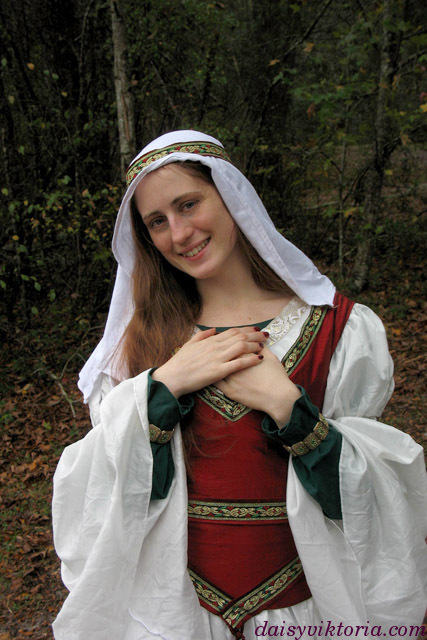 The undermost layer is a green t-tunic patterned dress. 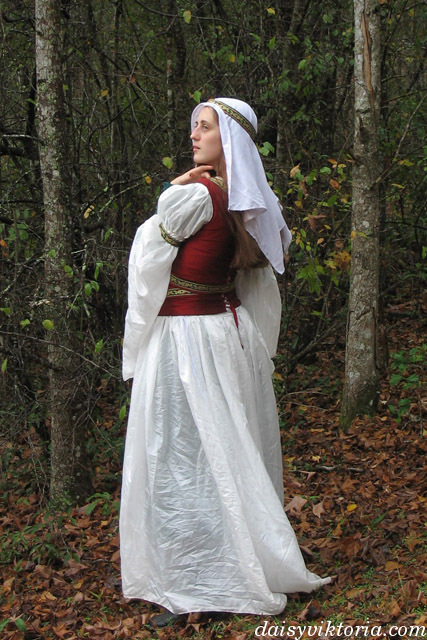 The bliaut laces on the sides and has a full skirt, which is attached to the bodice as a separate piece. The sleeves are gathered into the trim to create the puffyness. This is actually my old bliaut but modified to include a keyhole neckline with gold trim. The corsage, an early type of corset, laces in the back. This one is made of red silk.